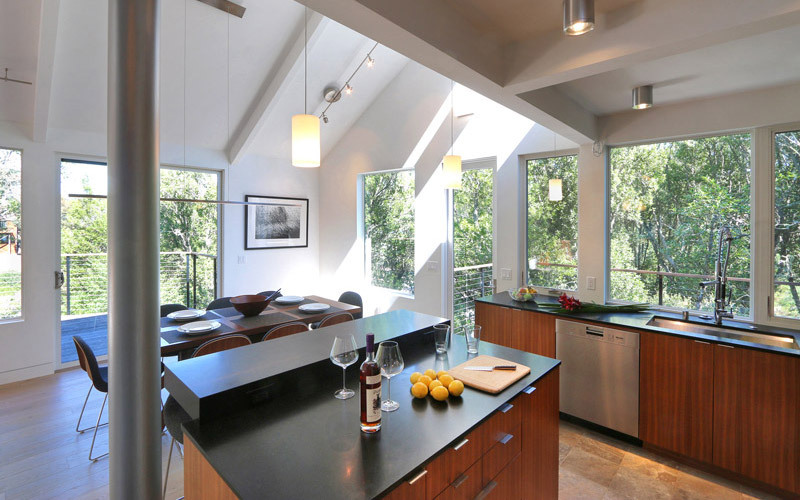 This multi-level hillside family home overlooking Tennessee Valley enjoyed a total makeover. 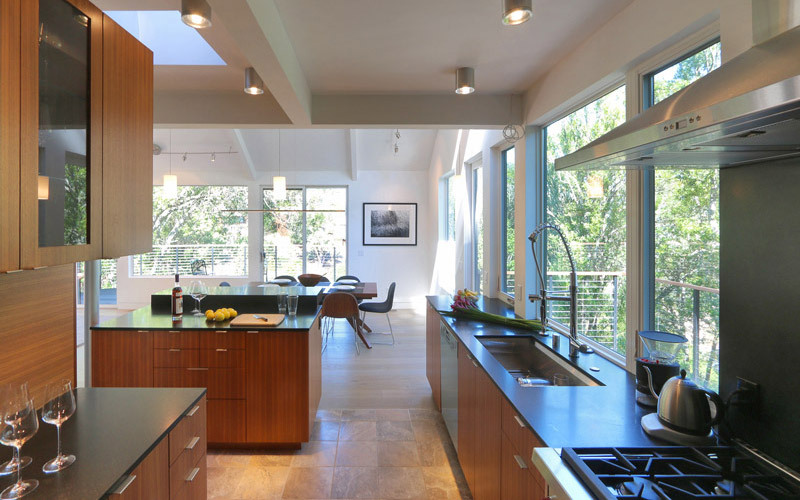 Teaming with renowned architects House & House, we brought this property to the cutting edge of twenty-first century design. 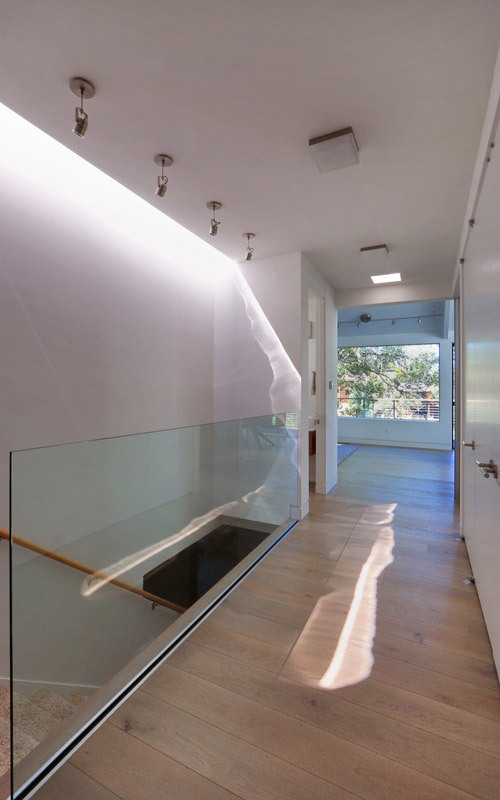 Because the home was occupied during reconstruction, we worked closely with the owners as well as with the architects to guarantee satisfactory process and results. 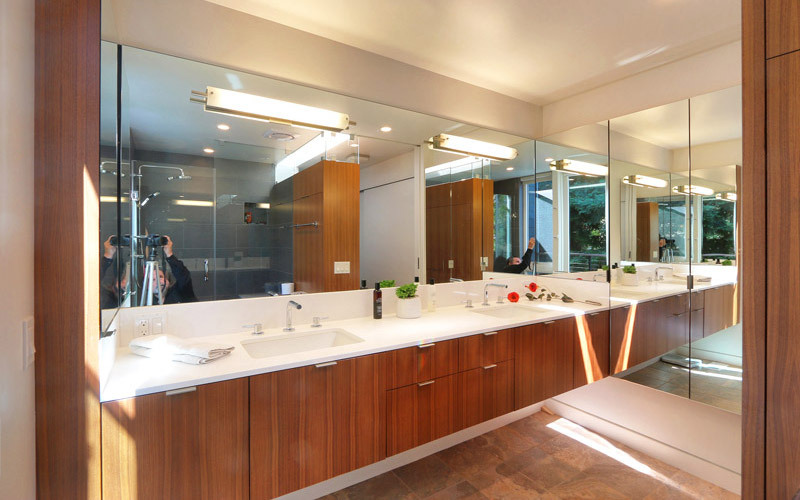 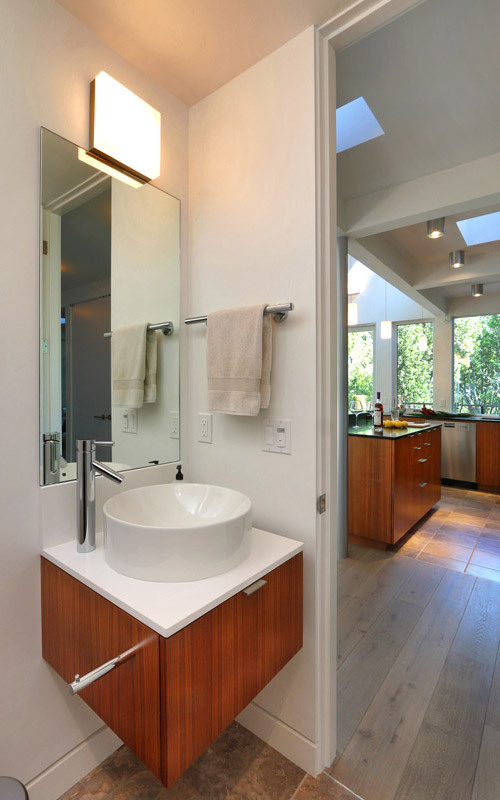 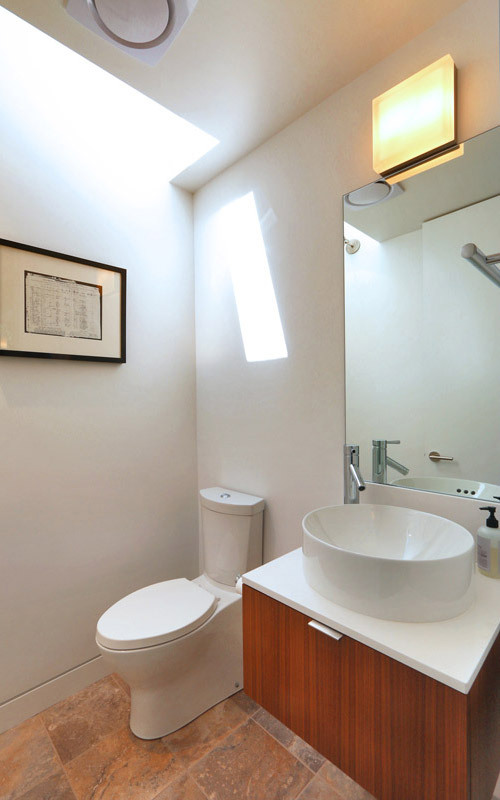 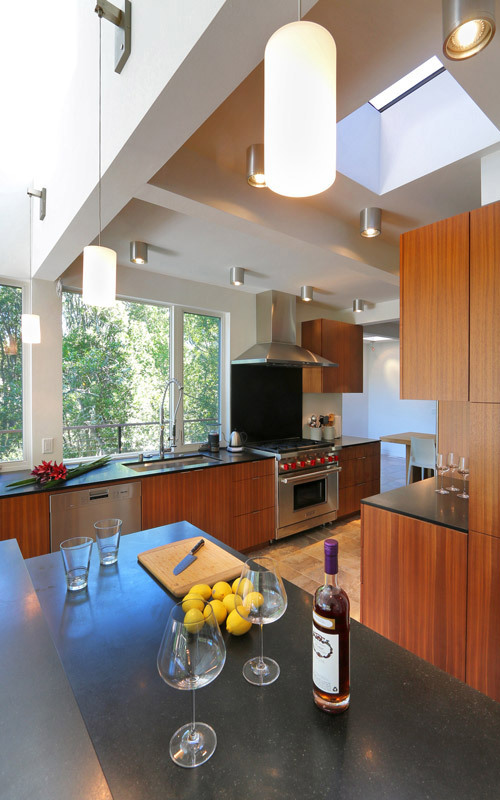 We removed multiple interior walls, to create spacious new living areas with modern amenities. 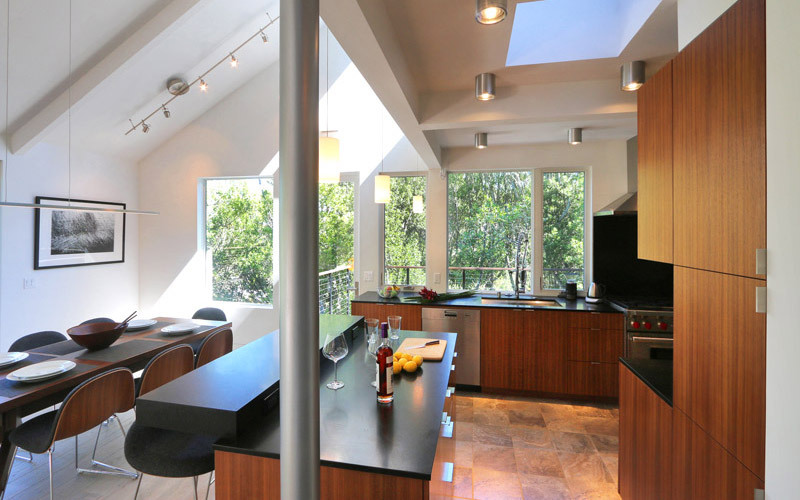 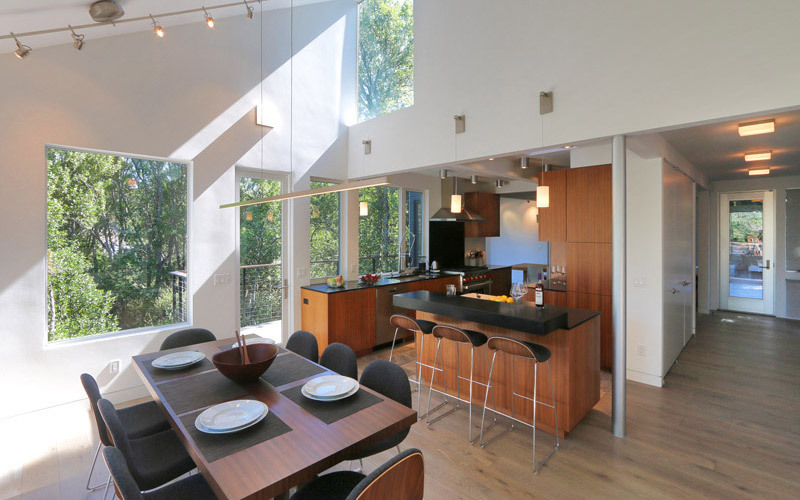 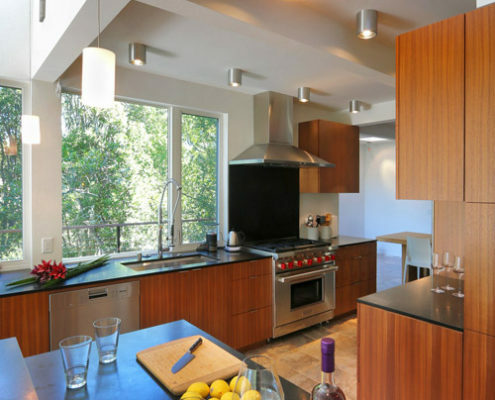 The remodeled kitchen and dining areas, lit by natural light from glass sliders, picture windows and clerestory windows above, seem a part of the surrounding trees and landscape.